Library staff have recently purchased about 150 new books for the Teachers’ Collection. These books are a mixture of items to support those delivering the new Scottish curriculum and include materials for National 5, Higher and Advanced Higher exams and a selection of contemporary young adult fiction. 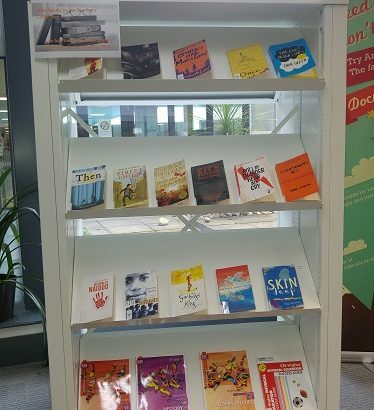 Some of these new books are on display in the Stirling campus Library entrance area, the remainder can be found on Level 4 of the Library in the Teachers’ Collection (Popular loan area, after classmark K). Other subjects are available, try a keyword search of the catalogue, e.g. national 5 French, Higher English, Advanced Higher Mathematics. Although these books are intended for students on the Initial Teacher Education programme they can be borrowed by all students and staff.